Honnold is sponsored by The North Face, Black Diamond, La Sportiva, Goal Zero, Stride Health, and Maxim Ropes. 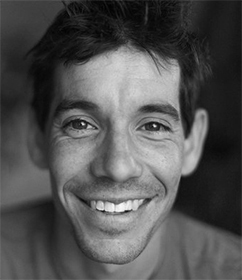 He is the founder of the Honnold Foundation, an environmental non-profit. And to this day, he maintains his simple “dirtbag-climber” existence, living out of his van and traveling the world in search of the next great vertical adventure.